Two Colors Sibolangit Waterfall - This unique waterfall is located in the village of Durin Sirugun, District Sibolangit, Deli Serdang, North Sumatra. 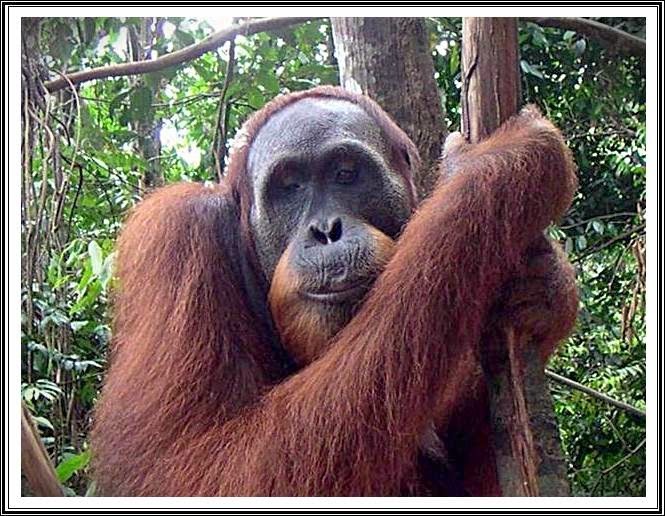 The distance from the city of Medan is not too far away, you only need about 1 hour drive to be able to post team who are ready to help guide your tour, the guides are trained and know very well the forest terrain that must be passed later. From the post to go into the forest takes approximately 3 hours to walk it is not surprising that physical readiness is very important, you have to be really fit. Along the path you will be treated to a panoramic tracking cool forest to the eye, you will have experience of travel and adventure at the same time to get to the waterfalls, climb and descent of the road you must walk. 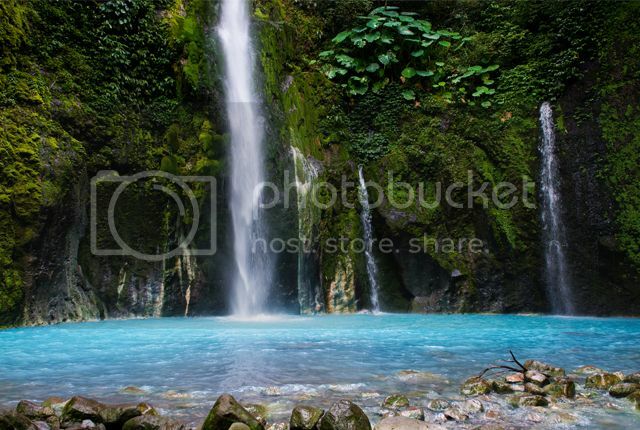 The appeal of this waterfall in addition to its unique scenery and of course the position which is tucked among the thick foliage of the jungle region of Mount Sibayak . Arriving at the intended destination, you will be greeted cool air plus stunning natural scenery. There are three waterfalls in one place, the highest reaching 60-70 meters, has a diameter of up to 25 meters, cool! Why is named after the waterfall 2 color? based on the scientific character of the water that contains phosphorus and sulfur mentioned is what gave birth to this beautiful natural phenomenon, so that you can see a waterfall that flows from the top light blue, while those already far accommodated gray white lake. If touching the skin also has a different temperature, light blue colored water was colder and white gray warm, try to swallow the water is warm because the content of phosphorus and sulfur are quite high. Of course a pity if not swimming or just playing in the water when he got this attraction, it is able to throw tired during the journey here, take pictures or your photography hobby is also a mandatory agenda that should not be missed. It is advised to bring their own supplies, eating and drinking too P3K your own box, and try not to pollute what damage the surrounding environment, because unfortunately if it can not be enjoyed by our next generation later. Lodge around the waterfall is not available because it was in the middle of the forest, you can camp / tent set up and even then must consent authorities. So if a visit to the Sumatran do not forget to Enjoy Two Colors Sibolangit Waterfall that will surely be unforgettable memories for you later. Want to feel the outer islands of Indonesia tourism ? 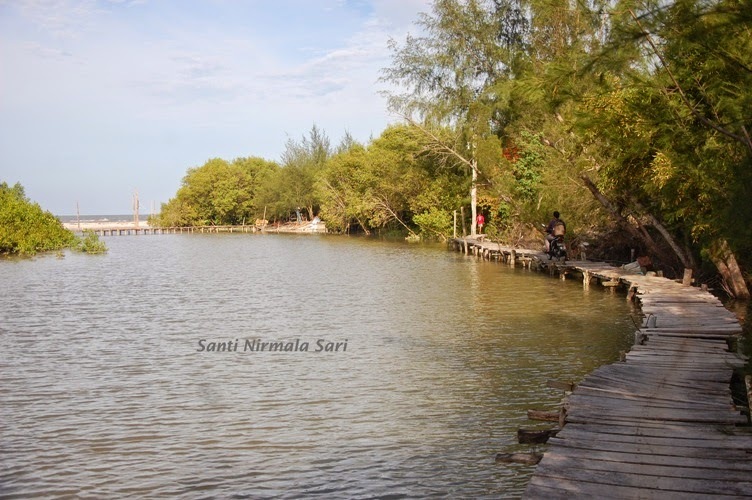 try to come to Berhala Island, beautiful outer islands with tropical coastal charm that offers beautiful beaches and the diversity of species of fish and underwater coral reefs, located in the north Serdang Bedagai. Berhala Island is located in the Malacca Strait Indonesia northern or southern border of Malaysia, if you come to Berhala Island, you may be required to report to the national army officers Indonesia (TNI) on guard to visit traveled to the island. Because not too far from the district capital of Medan in North Sumatra province, there are some special visited cruise destination for the tourists to the island, if you want a nautical tourism in the outer islands, this island least there should be in the queue list to your next destination. 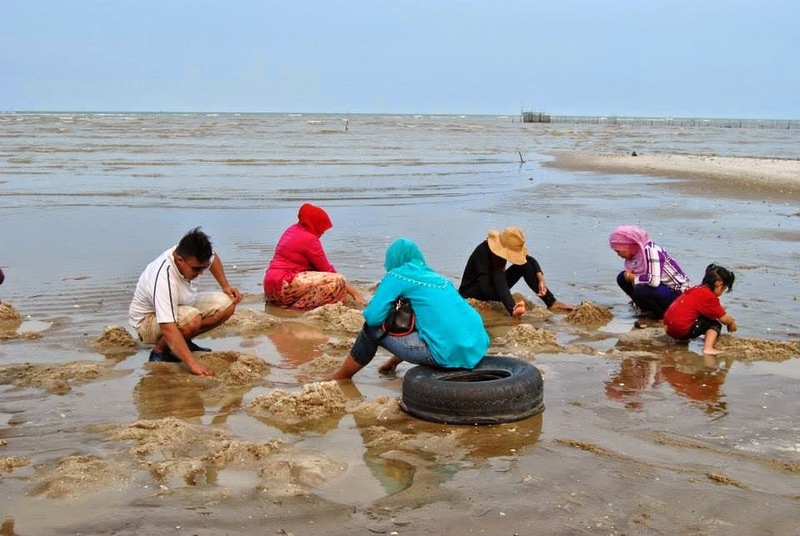 You can go to the nearest port such as port kuala promontory located at in a place called Lima Puluh, Batu Bara, not far from Tebing Tinggi, Serdang Bedagai, using fast boats to and from berhala island, from Tebing Tinggi to Kuala Tanjung take up to 1 hour journey, while from Kuala Tanjung towards Berhala Island can be reached by a 1.5 hour drive. The island is little more than 0025 km2, or about 2.5 hectares only, no residents who lived on this island only the soldiers who served, although the outermost location, the island is storing diverse tourism potential with the beauty of the tropical coast of the island is very beautiful, lush green trees grow and at the edge of a white sandy beach stretches on several sides decorated solid rock hill, the clear water to look to the bottom of the color of turquoise blue water, really fascinating when you want to capture dawn and dusk side by side in the same place. The beauty does not end there, besides enjoying the beaches are clean and natural, this beach save the diversity of coral reefs and marine life, if you want to go snorkeling or diving the best places can be found on Berhala Island itself or islands that flank this island as the Sokong Siembang Island and Sokong Nenek Island which covers only no more than 0.5 hectares, various types of either hard or soft coral reefs and colorful fish reef dwellers can see, the best diving depth of 4 to 25 meters. Fishing is a popular activity, a local tourism operators have been offering fishing activities around the island, the island will be your base camp, then you will be fishing not far from the island toward a particular spot using a fast boat, fish variation can be found such as tuna , snapper and grouper and the thrill of pulling a fish is a distinct preoccupation for you conquered, if fishing is your hobby is certainly fierce tug sea dwellers around the island is a challenge that you will subsequently conquered. For facilities and accommodation of this island has been ogled and developed by local entrepreneurs, there are several facilities such as lodging and resorts can be found on this island, so do not hesitate if you plan to stay and should go with your friends to this island. Hopefully writing about Berhala Island as Outer Islands Indonesia Travel useful for you and increase your knowledge and don't forget to come. Vacation is not just about fun roads to relieve fatigue, holiday can also contain the value of education, such as mangrove traveled. In Nort Sumatra, we can do it in Kampoeng Nipah. Mangrove Tours Kampoeng Nipah be one of the best options to travel education in North Sumatra. 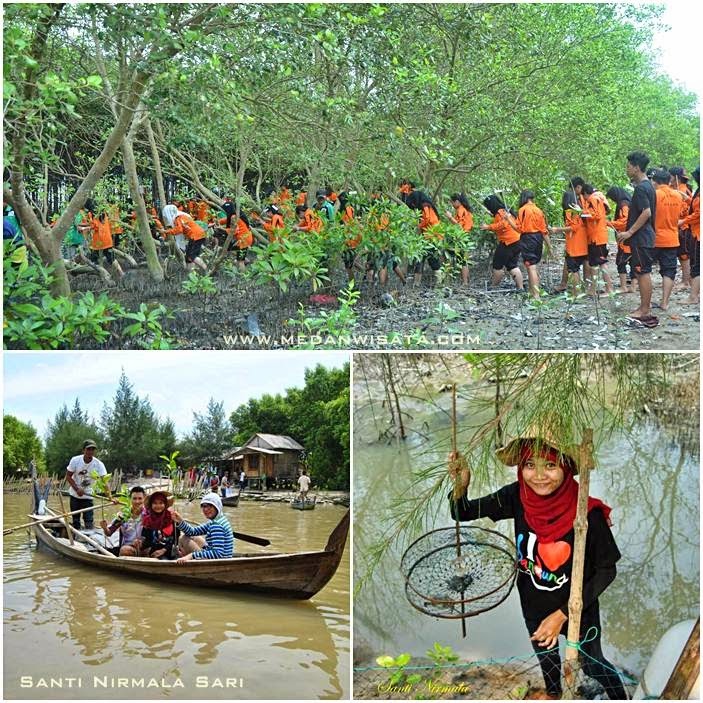 Kampoeng Nipah as a one of sumatra tour is location-based integrated mangrove ecotourism community in Indonesia, where in one location there are mangroves, mangrove-based products processing, to homestay run by locals. Mangrove forests have many benefits, one of which is to protect the shoreline from abrasion or erosion, and dampen the big waves, including tsunamis. Well, if you want a tour of the Integrated Mangrove in Kampoeng Nipah North Sumatra and get the facility as described above is full seafood lunch, planting mangroves, mangrove tuition, lodging, hunting crabs and barnacles and others, you are advised to use the services of travel organizer in Medan as exovac with at least 20 people / group because the cost will be more affordable. Thus the brief information about Mangrove Tours Kampoeng Nipah Northern Sumatra for those who want to get education tourism in northern Sumatra. Mount Sibayak become one of the major tourist attraction in Karo, North Sumatra. Local inhabitants call this mountain as Mount King because the word 'Sibayak' in the local language Karo society means 'king'. Big mountain is quite active volcano. From the top of the mountain, clouds of smoke billowing up to 2 km in height. Smoke comes from geothermal. The local government use of geothermal energy as a source of steam-powered electricity. Now in Karo are steam power plants. Location mountain which has ketiggian 2,094 m above sea level is located in the village of Sibayak. The volcano is a favorite place for nature lovers who like to climb the mountain. There have been many group climbers 'tasting' natural beauty of Mount Sibayak this. Usually, the climbers will start the ascent at 2:00 early morning so they can see the sunrise from the summit of Mount Sibayak. Besides the beauty sunsrise, hikers can also see the beauty of the city of Medan on top of this mountain. If the climbers reached the top of the mountain at night, from a distance will be seen flickering lights in the city of Medan. To arrive at Mount Sibayak, hikers can take a short trip through the Village Spirit Mountain is often called the Village King Berneh. The village is also very beautiful. Natural scenery is so beautiful. The air is very clean and cool. As far as the eye could see, the look is a stretch of vegetation that thrives in this mountainous region. Agricultural land owned by citizens of so wide and lined up neatly. Land contains various kinds of vegetables, fruit, and ornamental plants. 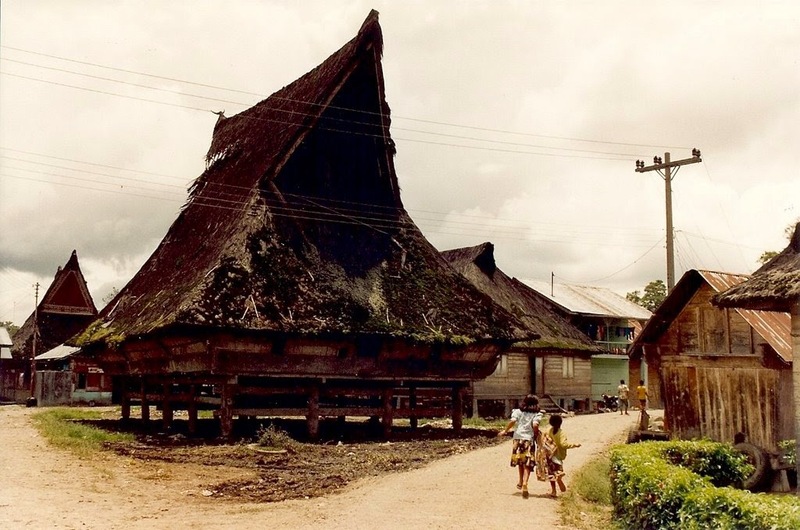 Along the road to Mount Sibayak seen buildings houses which are still loyal to maintain the authenticity of traditional arsisrektur art embodied in the traditional houses of Batak Karo. The local residents who are Muslims and Christians coexist peacefully. For those of you who are in the city of Medan, to reach the location of Mount Sibayak, you need to travel from Medan to Berastagi with a distance of about 77 km and takes about 2 hours. This path can be reached by private vehicles or motorcycles two. For those of you who want to embark on the adventure of Medan, you can use the public bus headed to Berastagi only with transport costs 5,000 only. Berastagi is other than the Spirit of Mountain Village to get to the top of Mount Sibayak. Nagori is a village where we can also see the other side of Lake Toba are usually visited by tourists but this time is different because of the many found was fishers. So for those of you who want to visit Nagori and want to see the other side of Lake Toba directly come just there. If you are lucky you can also catch fish with the fishermen there. 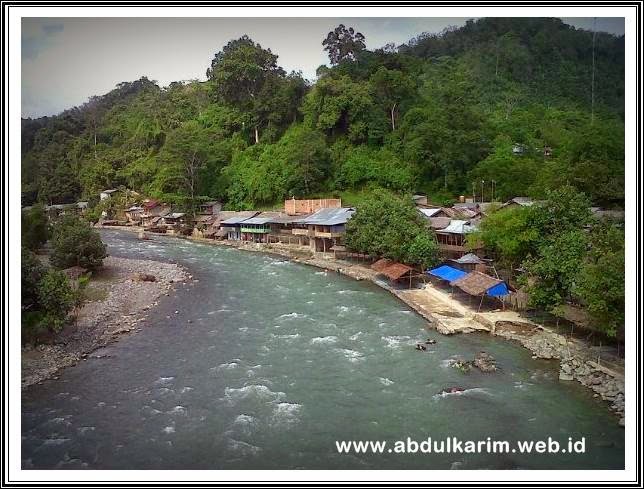 Nagori is one of sumatra tour place which you must visit. 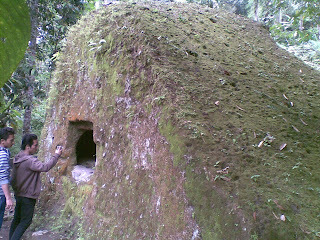 Kemang Cave Sembahe - A large stone covered with moss stands firmly on a piece of land. There is nothing special about this stone, there is the door and the room inside. On the outer walls of the caves are carved to resemble the shape of the human body but in small sizes, according to the body shape of the carving community is body size umang. Local people believe as home Umang, the Bunian in Tanah Karo, Medan, North Sumatra. According to local stories, long ago in the village of Uruk Rambuten (a small village in Tanah Karo), there lived a cultivator in the village. He made a an agreement with umang (the Bunian) to help him work on his farm. Umang approved the agreement on the condition cultivators should not be a single person know if the cultivator has been assisted by the umang to work on his farm. Eventually, aided by cultivators the umang and his friend. The fields that should not be completed in one day go faster completion aided umang. This raises the suspicion that the wife cultivators so quietly wife cultivators to follow her husband's field. Wife cultivators were surprised to see many creatures dwarf (umang) working in his fields. When the umang learned that the wife cultivators are the fields and see their activity, the umang an agreement with the cultivators was canceled. Which has a clean tilled fields, back into the wilderness. When the forest is cleared back a large stone was found and the room has a door in it and the stone is what is now referred to as a umang cave. "Umang" is Karo language which means genie or spirit. As told by Tolen Ketaren, such as human physical Umang, but smaller. The difference again, if running, his legs upside down, heel facing forward while his toes toward the back. Stone cave discovered by local people on this Dutch colonial era, once he was appointed to be moved to the Netherlands. But it can not be moved. Tolen himself did not know why this stone cave can not be removed. Maybe something to do also with magical powers. Most of the people believe that to this day still occasionally there that inhabit the rock cave. Uruk Rambuten village which is considered as the beginning of the village Sembahe, is still recognizable. But there was no longer a resident who inhabit the village. Uruk Rambuten village located near the crash site Garuda Indonesia on 26 September 1997. According Tolen, there is the possibility of the plane crashed due to snagging banyan tree that grows in the middle of the village of Uruk Rambuten. Cultural sites Abandoned The cave is located in Kemang Village Durintani, Sembahe Village, District and articles, Deli Serdang Regency. Precisely are in the fields of a resident who is also surnamed Ketaren. 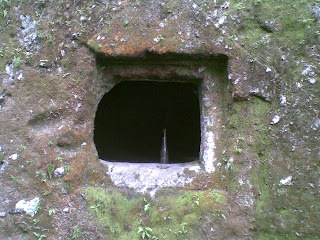 For the location of this stone cave, we can walk as far as one mile from the intersection Durintani, towards the right of the field. Not hard to find the intersection Durintani. There is a signpost of cement contained in the intersection. "Site Cave Kemang (Batu Caves), Regional Office of the Ministry of Education and Culture of North Sumatra Province, Project Development Culture of the Provincial North Sumatra," that is written there. It turns out that the rock cave is believed by archaeologists as relics of prehistoric man has become one of the government's cultural sites. if from the city of Medan at 10 am and arrived at the cave kemang hours 11. The road to this place we traveled by motorcycle, because the traffic flow to where it usually is jammed so using a motorcycle is a choice for the tepat.Untuk can take this place to be through rocky road and quite uphill on a motorbike can be reached for 10 minutes. Finally, the entrance to the cavern is already in sight. However, a sufficient condition slicing finally welcomed our hearts. Fences and walls that keep this cultural sites already mossy. So even stairs that would take us up to the top, where the rock cave is located. Carving is written in the fence was almost illegible due to moss so thick. Park ever built and running by the Regional Office of the Department of Education's 75 years in this place, but did not develop until now. taking dozens of stairs to get to the location of the Cave Kemang which is at the top of the garden. Condition of the cave was not much different from what we have encountered before. 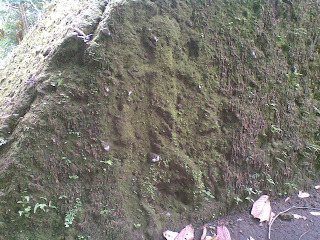 Thick moss surrounds the outer wall. Two similar relief man who is believed to be the shape of a figure Umang no longer evident. First according to the surrounding communities there are other stones also around the cave. Rocks such as tables, chairs, but marred Netherlands. At the front of the cave, there is a small hole measuring about 50 x 50 cm with a triangular-shaped sculpture on top. A kind of door to the house Umang. In the cave there is only one chamber measuring approximately 3 x 2 meters with a height of about one meter. The top of the roof of the cave like a regular house, conical atasnya.Di to the right and left in the cave, there are two steps, such as a bed. While on the right there is a small room lengthwise. In addition, there are also similar carvings Arabic script in the cave at the top of the door. According Tolen, may be it writing Karo, as if viewed from its shape, Karo writing is almost similar to the shape of the Arabic script. But it is not clear certainty because in some parts of the walls of the caves are also many human graffiti fad carve his name there. Corrupted already! However, the most to note here is that the cave Kemang. Quite alarming, given the cave was once used as one of the cultural sites in North Sumatra. If the current government does not heed this, it could be Cave Kemang actually lost forever. hopefully writing about kemang cave historical sites sembahe useful for you and increase your knowledge.